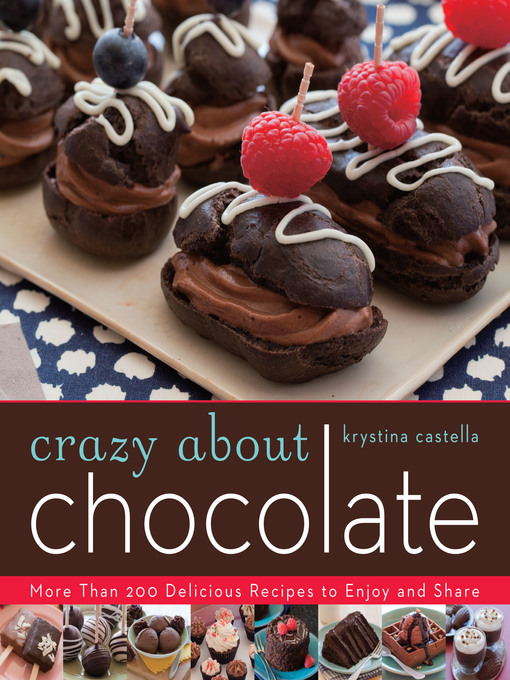 Everyone's crazy about chocolate—and this mouthwatering collection will satisfy even the most chocolate-mad fan! More than 150 sweet and savory recipes feature everything from candies and confections to crowd-pleasing cake pops and cupcakes to special holiday treats. Ring in the New Year with Chocolate Cream Cheese King Cake; savor a completely adult Chocolate Martini; dine on Cocoa-Spiced Turkey Chili with Chocolate Chip Corn Muffins. In addition to essential techniques and creative how-tos, bestselling author Castella explains how to prepare the perfectly decorated chocolate gift. Go rich and chewy with Black Forest Brownie Bites. Go creamy with Mocha Cappuccino Mousse. Go smoky with Apple-smoked Ribs with Cocoa Barbecue Sauce. Go crazy over delicious chocolate!